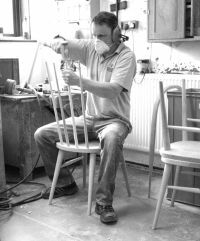 In 2008, whilst working on another project, I came across Dave Green and his company Sitting Firm Chairmakers. 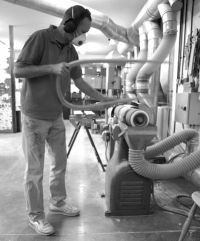 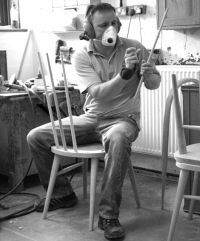 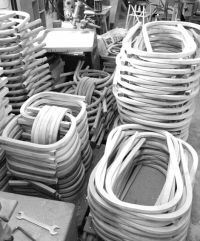 Dave set up the company near Coventry in 1989 and soon became the largest traditional chairmaker in the UK, employing over thirty specialist craftsmen expert in the arts of turning, adzing, steaming, bending, and framing-up. 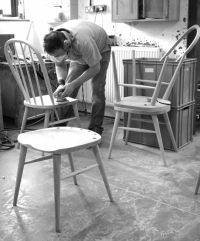 The company's output had been centred on traditional chairs, based on the regional English and Welsh varieties. 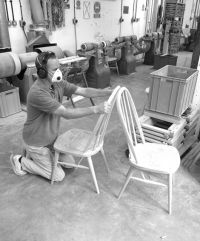 I suggested to Dave that he should think about making some ‘Modern Windsors’. 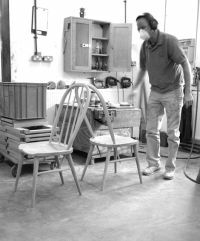 'You design them and we’ll make them' said Dave, and so early in 2009 I came up with the chair we called ’Arden’ (photo,left). 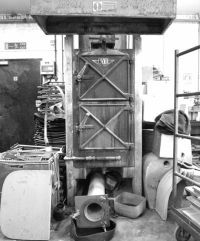 My approach was to retain the integrity of 'Windsor' construction but to remove the unnecessary frills and decoration. 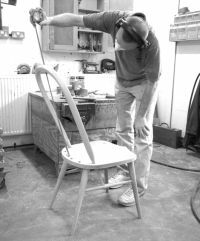 My contribution to the development of the 'Windsor' chair was to extend the back bow and allow it to pass through the seat and fit into the side rails, thus creating a uniquely strong geometry. 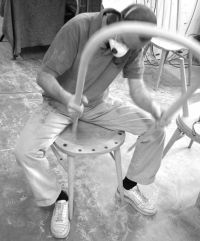 Subsequently I designed a dining table and sideboard and the range was launched to immediate success at the Milan Furniture Fair 2009. 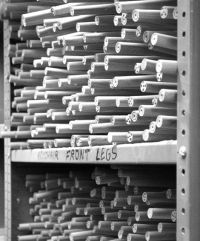 The name Arden derives from the fact that Sitting Firm's location - between Coventry and Birmingham - is in what was once Shakespeare's 'Forest of Arden'. 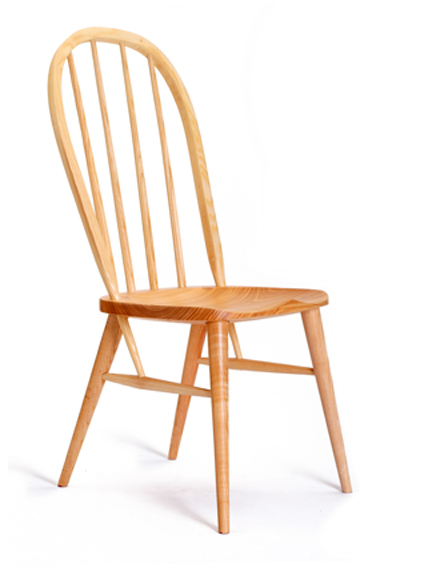 Windsor chairs were originally (ie in the early C18) known as 'Forest' chairs, and were painted green for outdoor use. 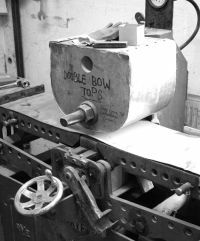 It was my involvement with Dave Green and Sitting Firm that led me on to look more closely at the ancient art of 'bodging'.